Many sellers in HCM City prefer destroying their excess flowers just before Tet to prevent low prices. Many people wait until the last minute to buy flowers or kumquat trees in order to bargain for the lowest prices possible. Some people want to wait until the sellers abandon the flowers and get them for free. Thuy, a kumquat seller from Hung Yen said, "I lowered prices to VND100,000 (USD4.30) per tree but many people wanted a cheaper price. Well, there's no Tet for me then." 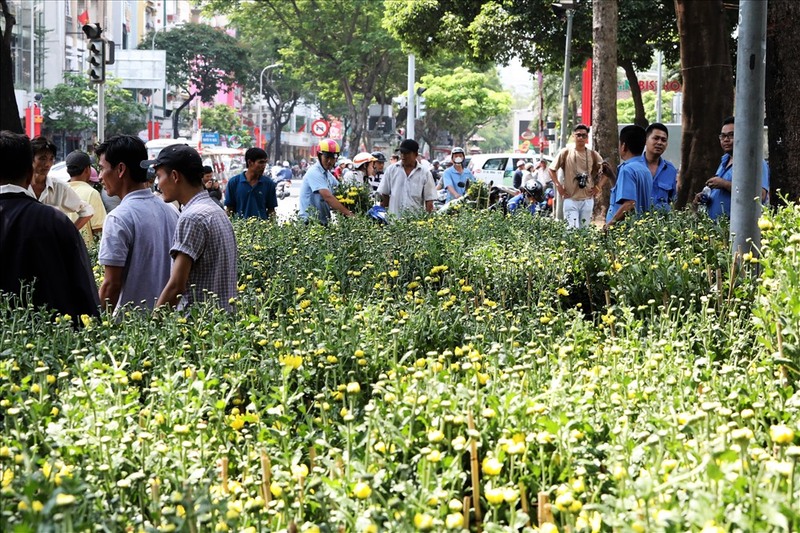 As the managers of September 23th Park urged sellers to clear their stalls on the last day before the Lunar New Year, Nguyen Thanh Sang still had 800 pots of daisies left. He cut the price for two daisy pots from VND200,000 to VND140,000 but many potential customers still wanted bigger reductions. 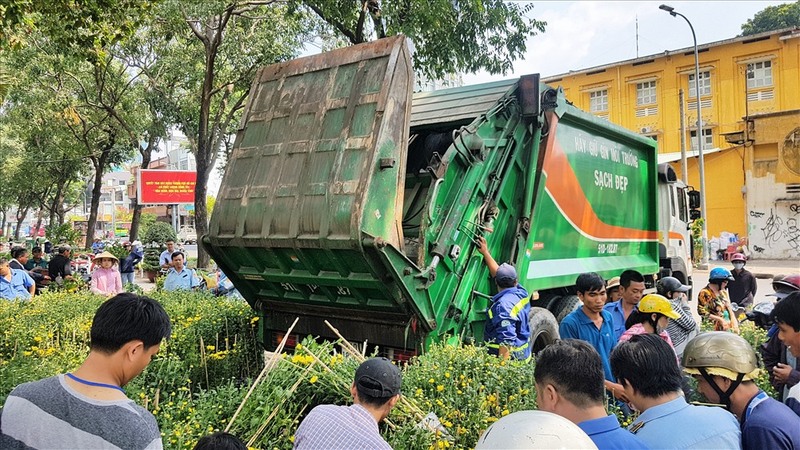 When the rubbish truck came and Sang started throwing the flowers away, several people rushed towards him wanting the plants for free. "I'll sell two pots for VND100,000 or else I'll throw them away. I'll never give them away for free," Sang said. "I received offers of VND40,000 for two pots of daisy. I refused them as it’ll just mean customers get into the habit of wanting cut-price flowers." According to Sang, he brought 2,000 pots from Sa Dec to HCM City and claimed to have incurred a VND20m loss as he had to pay a lot for transportation and rent. Sang said he might not bring flowers to HCM City next year.